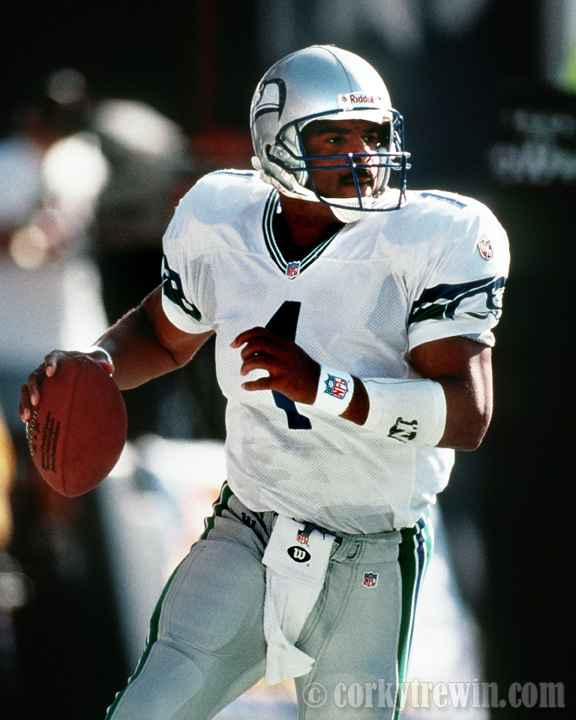 Seattle Seahawks quarterback Warren Moon rolls out for a pass during his first season (1997) with the team. Moon finished the season with 3,678 passing yards. This entry was posted in NFL, Seattle Seahawks, Sports and tagged Warren Moon.